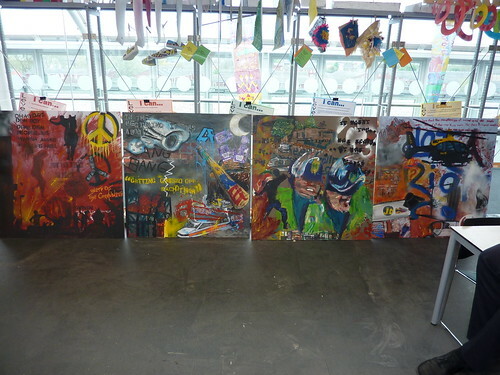 Four pieces of art work were created by year 9 students from Hackney Academy. 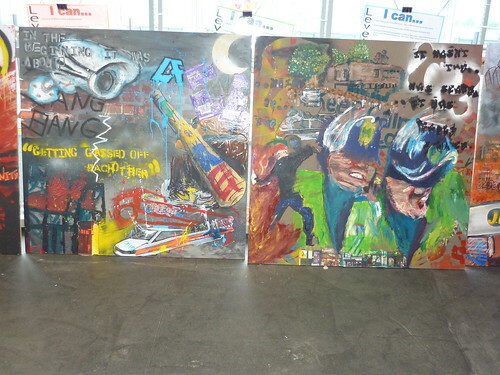 The art works were inspired by the London riots of 2011 and the works were developed and executed by the young people of Hackney and surrounding areas who attend the Academy. The Academy art department hired Arkadegraphics to over see and direct the year 9 students alongside members of the schools staff . The finished artworks were displayed in a pop up gallery on Chatsworth road nearby and were well received by the public audience. 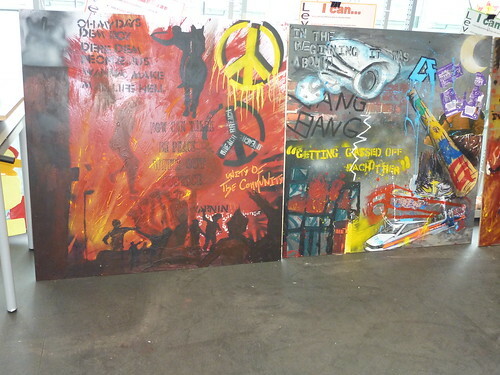 This entry was posted in Artwork, Workshops and tagged arkadegraphics, Chatsworth Road Art work, Hackney Academy, Hackney Academy Artwork, Hackney art, London Riots, London riots artwork. Bookmark the permalink.